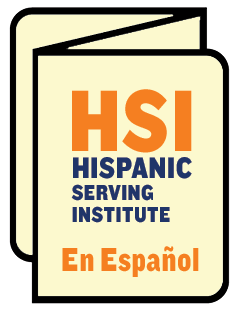 John Jay is proud to be a Hispanic-Serving Institution (HSI). As defined by the federal Higher Education Act, an HSI is a degree-granting institution with a full-time undergraduate enrollment that is at least 25 percent Hispanic. 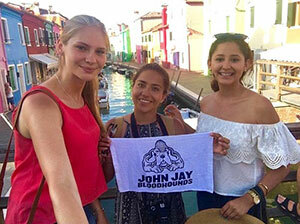 At John Jay, Hispanic students comprise nearly 40 percent of our undergraduate population. With a steady increase in the enrollment of Hispanic students over the past 30 years, John Jay is recognized as one of the leading institutions of higher education for Hispanics and is a member of the Hispanic Association of Colleges & Universities (HACU), which promotes a commitment to diversity in higher education, and the Hispanic Education Technology Services consortium (HETS). The College’s HSI designation is tremendously important at a time when, according to the U.S. Census Bureau, the Hispanic population is over 50 million and a record 3.6 million Hispanics were enrolled in colleges in the U.S. in 2016, up 180 percent from 1999 (Pew Hispanic Center). John Jay is committed to creating a diverse and inclusive campus community and to ensuring the success of all students, including its Hispanic students. According to The Hispanic Outlook in Higher Education’s 2017 list of Top 100 Colleges for Hispanics, John Jay ranks 35th in the United States for bachelor’s degrees awarded to Hispanics – the highest ranking among CUNY colleges in this category. The magazine’s ranking is based on 2015 data from the National Center for Education Statistics (NCES). John Jay is ranked #1 for bachelor’s degrees awarded to Hispanics in areas of study related to homeland security, law enforcement and fire science. The College is ranked #6 nationally for Hispanics graduating with degrees in psychology. John Jay offers unique student success programs including Apple Corps, PRISM, CUNY Service Corps, SEEK, the Pre-Law Institute, Ronald H. Brown Law School Prep Program, and the Honors Program in which Hispanic students are strongly represented. 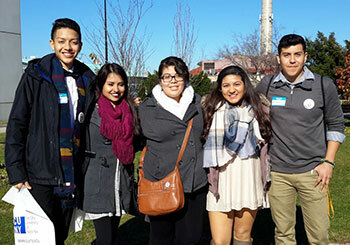 The College’s Office of Student Academic Success Programs has also partnered with CUNY's CREAR Futuros Program to create Adelante!, a comprehensive two-year leadership program for students interested in Latina/o issues, in which John Jay students receive intensive guidance to ensure that they reach their academic and career goals. For prospective students, John Jay’s offices of admission and financial aid have dedicated Spanish language staff and resource materials available to help Spanish speaking families plan for college. John Jay faculty are committed to research and teaching that is mindful of the community they serve. The College continuously revises its undergraduate and graduate curriculum to ensure that general education classes, majors and graduate programs are inclusive of, and relevant to, issues of importance in Hispanic communities. The College has been the home since 2013 of the national Biennial Latina/o Literary Theory & Criticism Conference. The Latina Researchers Network was co-founded by a John Jay faculty member in response to the underrepresentation of historically disadvantaged populations with advanced degrees. The College offers a BA in Spanish with a concentration in Translation and Interpreting and three Certificate programs in Spanish Legal Translating and/or Interpreting. These programs address the need for interpreters and translators specializing in law to serve Spanish-speaking communities across the country. Students have the opportunity to participate in CUNY’s court interpreting internship program, where they gain valuable skills and professional experience for a career in high growth areas such as legal translation and interpreting, as identified by the Bureau of Labor Statistics. John Jay also offers Study Abroad Programs that provide students the opportunity to acquire first-hand learning experiences in Latin America. Led by the faculty of the Latin American and Latina/o Studies Department, students have the opportunity to participate in study abroad programs to several countries including Cuba, México, Ecuador, and the Dominican Republic. 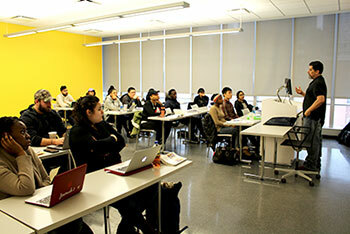 With the support of the Justicia en Nuestra América (JUNAM) Program, funded by the International and Foreign Language Education Program of the U.S. Department of Education, John Jay also offers campus lectures on Latin American issues from recognized international scholars and leaders as well as internship opportunities, and study abroad grants to students.